Avventure Bellissime | Have the Adventure of a Lifetime! Choose an Avventure Bellissime Vacation Package for the Adventure of a Lifetime! Avventure Bellissime offers an unmatched selection of superior-quality Italy tour options, including small group, private, and semi-private day tours and walking tours of Rome, Venice, PompeII and the Amalfi Coast, Cinque Terre, and Florence! 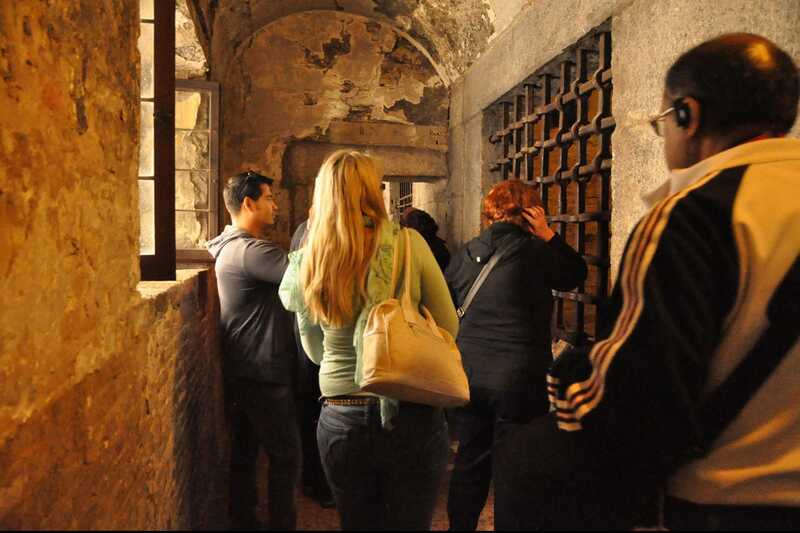 Clients see the most popular Italian sights, without the worry of planning or the wasted time in lines, accompanied by expert guides – the Colosseum, the Grand Canal, the Vatican, the Sistine Chapel, Chianti & Hill Towns, and more. Guests can select day trips and tours to complement the Italian vacations they’re planning, and combine Avventure Bellissime tours for added adventure and extra savings. But what if you want to experience all that Italy has to offer but don’t have the time, energy, or knowledge to plan your own vacation? The Avventure Bellissime team offers a huge variety of Italy vacation package options to suit even the most discerning travelers’ needs. These packages allow guests stress-free, structured, well-planned trips to Italy — where they’re taken care of by the Avventure Bellissime team from the moment they arrive until the day they depart. Start with a call to Avventure Bellissime. A member of our expert sales team will speak with you about your dream Italian vacation. Then, choosing from the existing list of Italy vacation packages, or selecting a variety of small-group, private, and/or semi-private day tours if that better suits your needs, they’ll help you craft the ideal trip — based on your timeline and budget. In order to make sure all of your Italy trip dreams have been included, Avventure Bellissime will send a formal proposal that outlines every detail and includes a complete itinerary with fees, optionals extras, booking conditions, and terms. Once you’ve booked your trip, the Avventure Bellissime team will continue to work with you — monitoring your travels through Italy and double-confirming the services we’ve booked on your behalf (including hotels and transfers). You’ll also receive an emergency contact number so that you can reach the Avventure Bellissime team at any time. Snapshot: These Avventure Bellissime semi-private Italy vacation packages offer the best value for trips in 2013. Guests who choose one of these packages will enjoy having every detail taken care of during their entire stay. And they’ll enjoy it privately! A great fit for independent travelers who want a well-planned time in Italy. These packages include small group tours of the must-see sights with an expert, licensed guide and travel on high-speed trains in first-class reserved seating and 4-Star hotels. Small Group Italy Tour Packages – Special rates on now! Snapshot: These favorite packages are the same as our Semi-Private Italy Vacation Packages (above), with a bit of a twist: If you’re able to travel on a set departure date and are willing to share transfers between cities with a small group, you’ll enjoy a reduced rate and have the opportunity to swap travel stories and make new friends along the way! This is just the beginning. Avventure Bellissime operates over 200 diverse and exciting tours throughout the Italian peninsula and we’re here to help you choose or design a vacation package around your vision, needs, budget, and timeline. Check out a video of our Italy Vacation Package options here! Avventure Bellissime was recently awarded a 2013 Certificate of Excellence from TripAdvisor. This is a real honor: “To qualify…businesses must maintain an average rating of four or higher out of a possible five, as reviewed by travelers on TripAdvisor” (tripadvisor.com). Snapshot: Private Italy Vacation Packages by Avventure Bellissime allow you to design your own custom Italy vacation. This is the perfect option for groups and families of four or more who want to travel alone and have a trip designed around their exact desires. Review: Kelly C. from Atlanta Georgia took five private Avventure Bellissime tours while in Rome and wrote this on TripAdvisor in November 2012: “WOW! A++ experience, guide, everything! [Five out of five.] Francesca [our guide] was amazing and I really feel like I have a new friend (who just happens to be smart and passionate about art and history) in Roma! Snapshot: Pre & Post Italy Cruise Tour Packages are for cruise ship passengers starting or finishing their journeys in Italy. Have a day at the beginning or end of your cruise? Make the most of it! A member of Avventure Bellissime’s sales team will work with you to select the day trips and tours that best meet your timeline, budget, and pre- and post-cruise energy level! We also offer a selection of shore excursions we invite you to explore. Ready to turn your Italy adventure dreams into a reality?